Jainism is a 'Vedic' religion alongside Hinduism and Buddhism. Jainism is one of the great world religions3,4. It was founded in India in the 5th or 4th century BCE5 and was most popular between the 5th and 12th centuries CE6. Jainism, like other Vedic religions, embraces the concept of karma7, and although historically Jains took the idea to an extreme and sought to reduce and remove all desires and all effects of actions to become as passive as possible, modern Jains largely take into account the motives of actions, and so embrace a more moralistic form of karma8. Jainism is divided into two main factions (Digambara and Shvetambara) and the smaller Sthanakavasis; their main point of divergence is the extreme to which they take asceticism (plain living) and self-denial9. 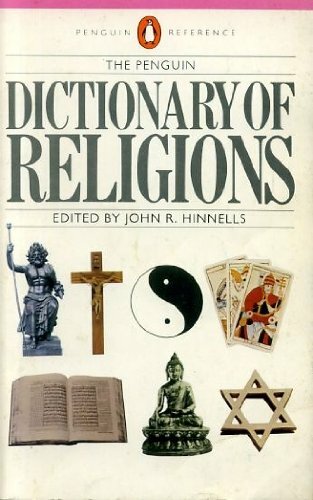 Jainism is most famous for its fundamentalist stance of ahimsa (non-violence)6,10 and this key part of their doctrine even has staunch critics of religion such as Sam Harris speaking positively of Jain's peacefulness11 and its clear and inspiring stance managed to influence all of Indian culture6, and has adherents such as Mahatma Gandhi6. Critically speaking, the rest of Jainism is largely nonsensical and its stories are ahistorical; its doctrines of eternal cycles and 24-teachers-per-cycle (all of which happened to spend their lives in India) is daft, and even non-violence becomes counter-productive when faced with crop parasites and defending communities against violent attackers - Jainism only works as long as others maintain society for them. Jainism is strongly ascetic and committed to rejecting materialism, the world at large and all desires and attachments18 and they consider the monastic life to be the ideal19. In Jainism the cosmos operates eternally according to fixed laws that have no creator nor regulator20,21, and worshipped beings (such as the Arhat) are ordinary humans who have attained enlightenment22. "No divine hand operates the kalachakra cycle"23. In popular belief some forms of Jain activity involve powerful beings that are sometimes called gods, but they are only powerful beings and spirits, and are not part of canonical doctrine20,21. The lines of statues (typically, Tirthankaras) in Jain temples "represent role models rather than gods"24. Some Jains worried that statues were become real objects of worship (and hence: distractions), and so, led by a monk called Viraji, a new movement began, called Sthanakavasis; they rejected all the statues and would meditate and worship only in plain buildings with no adornments. See: Atheism and Secularism: 3. Atheist Religions. Jainism is famous for its fundamentalist stance of ahimsa (non-violence)6,10; no practicalities can violate this key part of their doctrine. The upright-hand symbol of Jainism represents non-violence, and has the word ahimsa on its palm6. The spectacle of Jains brushing the path ahead of them so that they do not harm small insects16 (and some wear masks to avoid accidentally swallowing insects10) has led many to consider Jainism to be the most peace-loving and gentle world religion. For example, two of the modern world's harshest critics of religion, Richard Dawkins and Sam Harris, both say positive things about Jainism's stance on violence. 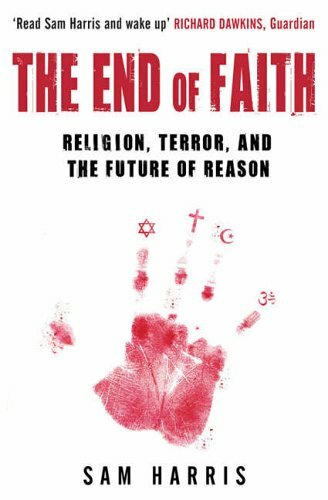 "There is a reason" why we don't have to confront Jain terrorists, says Sam Harris: "Jains do not believe anything that is remotely likely to inspire them to commit acts of suicidal violence against unbelievers"25 and "a rise of Jain fundamentalism would endanger no one. In fact, the uncontrollable spread of Jainism throughout the world would improve our situation immensely"11. To hear these words from Sam Harris is a strong indication that Jainism is inherently better than other religions. "Jains believe that all life is closely bound up in a web of interdependence and that all aspects of life belong together and support each other"6. "At the Summit on Religions and Conservation in 1995, nine religions submitted declarations"26 including Jainism, which declared itself to be "a cradle for the creed of environmental protection and harmony" because we all have a "moral responsibility" in our relationship with the wider world26. When resisting a barbarian invasion, a military commander would be foolish to employ any Jains. When trying to control a swarm of crop-destroying insects, no farmer can use Jain methods (for example, Jains will not plough the Earth for fear of harming millions of tiny creatures16). Parasites, disease, pests and dangerous living beings of all kinds are left to their own devices in a Jain world, sowing the seeds of pain and suffering (and crop failure11). The search for individual moksha (breaking free from Karma) makes Jainism selfish - while most religions in history have been too violent to be good, Jainism is too passive to be good. Jainism can only succeed if everyone else picks up the slack, resists evil, produces food and keeps the world from falling back into a dark ages (a situation that Jains could hardly cope with). Jainism is named after the Jinas - ordinary humans who attained enlightenment, who are also called the Tirthankaras1,27 and classified as Arhats (worthy of worship)22. There are many problems with the basic beliefs of Jains about their own religion. 24 Not-so-Great Teachers: The fundamental problem with this concept is that it has not been the case that 23 teachers taught Jainism; although they are called 'great teachers', only one of the 24 appears to have bothered to teach others and left an enduring doctrine. If the first 23 failed (i.e., Jainism was not founded by any of them, but only by the 24th one), then why are they all called great? When they did teach, the result was division. One every 83,000 years? The timelines do not add up. If the first Tirthankara was indeed two million years ago, that means the average time-span between each one is eighty-three thousand years, and yet Jain doctrine has it that the 23rd was alive in 900BCE and the 24th in 450BCE. Even if we assume that the first one in this age was just one million, then that is still 40,000 years inbetween each one. Some Jains say the first was hundreds-of-thousands years ago - but that's still a gap of 8,300 years between each one. There's almost no way to make it add up sensibly. Creating Human Culture: human culture actually began around 44,000 years ago28 in Africa28,29, meaning that the Tirthankaras had no effect, and, they lived in the wrong continent anyway. Human culture progressed from the habits of other primates and would have developed without any interference at all from mystical Tirthankaras. Tirthankaras Myths: The stories of the Tirthankaras lives are clearly mythical; some were 1.5km tall, another had no sustenance for an entire year, and many of them performed miracles and wonders. Despite these awe-inspiring sights, they left no evidence of their existence and no stories about them surfaced until Jainism spread them, excepting one or two unclear historical sources for Parshva and Mahavira. The Indian Bias: Another element of Jain history that gives away its invented status is that the stories of the Tirthankaras all happen to take place in the Indian subcontinent. All the shrines that relate to the personal histories of the Tirthankaras (especially the locations in which they each gained enlightenment) are in India6. The people who wrote their history knew only about India, and although it doesn't mean that the Tirthankaras's forgot about the rest of the world, it does mean that it was humans who invented their history, undermining the trust we should have in their existence at all. The 24th Great Teacher was ambiguous in the doctrine on some points, leading to the creation of three major factions of Jains; the Digambara and Shvetambara factions split very early9 (the former occupy north India and the others, the south9), but it wasn't until the 3rd century CE that the schism became formal30. Also the small Sthanakavasi group appeared in the seventeenth century9. It seems the 24th 'Great Teacher' had exactly the same problems as all other founders of religion, and struggled to spread a clear and enduring message. Jainism, like most other religions, has at its core traditional symbology derived from the way sun-worshippers divided the sky into 12 regions of power - the zodiac32. The number 12 and its multiples of 24 and 72 are used heavily in Jain mythology, giving away its fictional nature. For example, the universe follows "an eternal pattern of rise and fall. In each age there are twenty-four great teachers. These are called Tirthankaras"6; the most recent of them (Lord Mahavira) had twelve disciples called the ganadharas1 and Mahavira happened to gain enlightenment at age 72 after 12 years of suffering6. The Jain kalachakra (wheel of time) turns through 12 divisions of time33 as does the Buddhist equivalent. The reason why historians have struggled to find evidence for the Jinas is that they are symbolic myths based on the sun's 12 domains, and were never factual history. At some point, someone invented the Tirthankaras and the details of Lord Mahavira's life, making it conform to cultural Indian norms. “Starting out life as an immensely useful number for counting and dividing things, the number 12 became a number revered by mathematicians and early astronomers. So the skies were divided into 12 portions as were the months of year, reflecting the annual movement of heavenly bodies. Superstitions and religious beliefs were piled on top of respect for the number 12 and was adopted by multiple early civilisations. The sky, divided into 12, has each portion ruled by a personification, a god, a divine being, a teacher, a prophet or a son of the sun. Odin of Norse mythology sat on a chair that overlooked all of creation, and had 12 sons34. The Babylonians had the longest lasting influence upon our calendars, timekeeping, mathematics and religions; all of which emphasize the number 1235,36. The Babylonians' most ancient myths defined zodiacs where each portion was ruled by a different god (some good, some evil)37. Pseudoscientific enterprises such as astrology have the number 12 at its core. The ancient Zoroastrians had twelve commanders on the side of light (light being a symbol for the sun)38, and in Judaism and the Hebrew Scripture there are many references to the 12 tribes of Israel, and later on the Greeks imagined 12 Gods on mount Olympus. Mithraists, and then Christians believed that their saviour had 12 disciples. Shi'a Muslims list 12 ruling Imams following Muhammad. Such holy persons are depicted with a bright solar light around their heads such as occurs when any object approaches from the sun and now stands infront of it. Although many ancient religions such as the Gnostics understood things like the twelve disciples of Mithras to be symbolic of the stages of the waning and waxing sun throughout the year, later religions took it literally and believed in an actual 12 disciples - and some still do. The details of kalachakra contain more untrue absurdities; half the cycles are period of ascending happiness, the other half of descending. In the Endenic period people are at maximum happiness and grow incredibly tall; however although their doctrine is that we are in a utsarpani period currently (where we are getting sadder, and shorter), humanity is (in reality) growing slowly taller, mostly due to changes in diet and health. Kalachakra does not - and never can - match reality. Jains prefer the company of other Jains and find that many lines of work contradict their beliefs16, making Jains themselves difficult to work with. A case study of Jains in Hong Kong reveals that Jains can neglect social interactions, but also, a typical focus on trade and business services serves to skew their social outlook: personal ties are only developed if they have practical value. It is typical human ethnographics that doctrine on food and clothing are central parts of our mythologies and religions. Many religions have many strict rules of conduct on these matters - all contradicting each other from religion to religion, and it is clear there is no central spiritual message on this matter. The Jains also developed yet-another system of rules for clothes and food which has been a source of division amongst their own communities, although they do all agree upon vegetarianism16,20 and simplicity of atire30. Despite the rigour and heated debates that the Digambara put into this disagreement, the Digambara's stance has changed in the modern world, and they now wear robes when in public9. Dieting and fasting are routine parts of Jain life and many only eat what is charitably given to them, and conduct in length diets as part of self-punishments for perceived transgressions20 - up to 200 Jains die annually in India from this20. The Digambara (one of the two main branches of Jainism is aligned with most other traditional religions in considering womankind to be inferior to mankind40,9,20. Although the Digambaras believe that it is good karma to go naked (because of the renunciation of physical things), they don't allow women to go naked; although they justify this by saying that women cannot attain enlightenment, in reality it is because they are attempting to ignore and suppress sexual desire, and like many other religions, the attempt to do this is not compatible with reality. The compromise is that they make women wear clothes. As Jainism's strict doctrine of ahimsa includes non-injury to others, and the wearing of clothes is not good karma, they are indeed harming women by disallowing nakedness, and so, a fundamental contradiction occurs between their bias against women, inability to control nature (men's sexual desire) and the doctrine of non-injury to others. 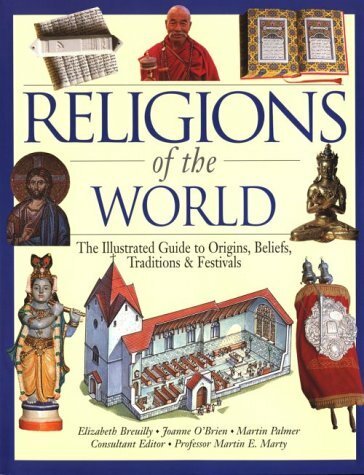 See: "Religion Versus Womankind" by Vexen Crabtree (2007). (1921) The Babylonian Legends of the Creation. (1992) Origins Reconsidered: In Search of What Makes Us Human. Published by Little, Brown and Company, London, UK. (1915) Myths of Babylonia and Assyria. Amazon Kindle digital edition produced by Sami Sieranoja, Tapio Riikonen and PG Distributed Proofreaders. An e-book. (2011) Migration and the Globalization of Religion. This is chapter 27 (pages 491-506) of "The Oxford Handbook of The Sociology of Religion" by Peter B. Clarke (2011)1 (pages 491-506). 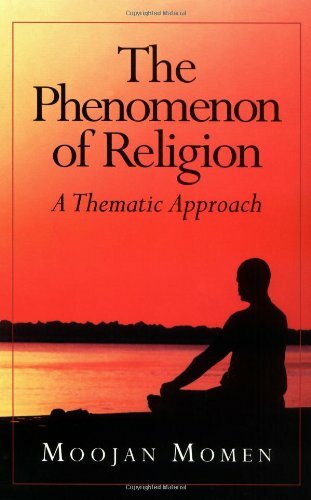 Clarke, Peter B.. Peter B. Clarke: Professor Emeritus of the History and Sociology of Religion, King's College, University of London, and currently Professor in the Faculty of Theology, University of Oxford, UK. 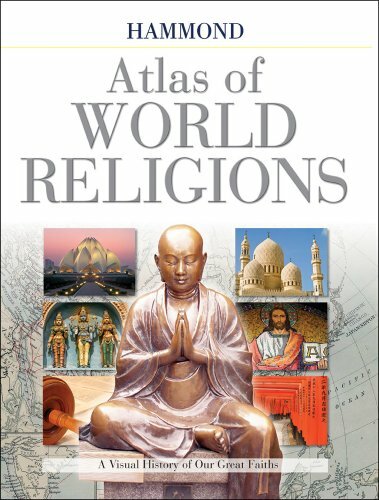 (2008) Worldmapper Datasets 551-582: Religion. Worldmapper Datasets 551-582: Religion (2008 Mar 26) on worldmapper.org/.../religion_data.xls, accessed 2013 Nov 11. Authored by John Protchard, published by SASI, University of Shieffield. Data is for year 2005, with some datasets being edited from original sources to remove the effects of double-counting, and, adjusting for population changes between 2002 and 2005.